Humans are social animals by nature and need social events to feel valued. This is the time when friends and family get together and celebrate life. At times like these, you want everything to be perfect - the ambiance, the mood, the venue, everything. Catering services perhaps belong at the top of that list. Depending on the type of event you are having, you will have different catering needs. Not all caterers can deal with all occasions. A wedding event is much different than your kid’s birthday bash for instance. The catering menu and food choices would be polar opposites. On one end of the spectrum, you want fast food with pop. On the other end, you want a 5-course meal with champagne. 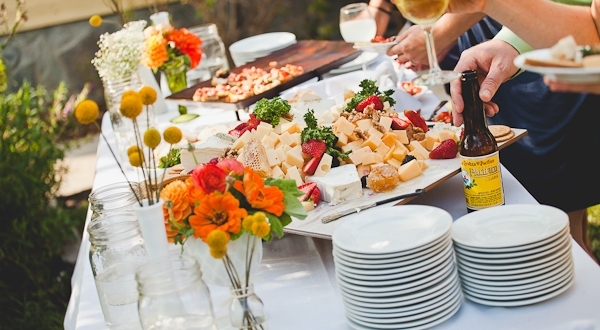 So how do you decide which catering service is suitable for your occasion? Your catering service should have experience and expertise to handle the kind of event you want. If you are celebrating a child’s birthday, you want someone who knows how to deal with the event. On your end, always be clear about your requirements. Ask them to provide you with references. Take a look at their menu. See if it is suitable for the event you are planning. Some caterers offer packages for certain types of events. Ask your caterer if they offer something like that. The key is finding a caterer who is willing to adapt to your needs. They should be flexible enough to deliver the kind of experience you want. Whether you want to add an item to the menu or adjust the ingredients of another, it should be your choice. Your catering service should do all that it can to accommodate you. Waterfront Gourmet Café and Deli is one of the fastest growing catering services in Philly. Our focus is on providing quality food with quality service. We take pride in the fact that we listen and care about what you have to say. We want to help you plan the perfect event and do our part to make sure this happens. Our menu consists of a range of delicious deli-style dishes, salads and colorful drinks that will leave you craving for more. We consider ourselves to be creators, and make sure our food looks as good as it tastes. Be it a corporate event, a birthday celebration or a family get-together, rest assured we will take care of it. And by the time we are done, your guests will surely ask you where you found your catering service. So get on your phone and call 267-308-5108 or 267-227-1994. Let’s start going over your plans right now. Alternatively, you may order online through our catering menu.